With over 1 billion monthly active users at the end of 2018, Instagram is the virtual place everyone wants to be! The social network is a fantastic environment for creative ads, out-of-the-box campaigns, and impressive connections with customers. However, while the system looks simple many businesses seem to fail at creating a real connection with the communities that could be representative for their products or services. This tends to happen when the only thing you care about is your campaign. When you’re not people-oriented and you don’t value the customer-brand connection, it can be difficult to grow on any platform. Still, there are other factors to hinder your success, such as the avid competition. With so many users, brands fight over exposure, so it can get pretty tight, especially if your niche is popular among big brands. So how do other businesses do it? As it turns out, there is enough room to start your own loyal following. You just need to know a few tips and tricks to get you started. The content is your leverage when it comes to the online world. It is the hook that attracts viewers on your account and the main line of communication between your brand and your following. But, in order to attract real people, who are interested in communicating and connecting with your posts, you must make sure it is a good fit for the audience you are addressing. Furthermore, you need a unique style, that (in time) will become your signature brand. True, there are shortcuts such as inspirational quotes or posters that work with most industries, but you can’t rely heavily on them if you want to stand out. You need to find your own voice. A good example of such an account is the Nifty account from BuzzFeed (@buzzfeednifty). They used the video feature on Instagram to create easy-to-recognize content that’s being shared by thousands of people. The secret behind their success is a well-established niche (DIY tips & tricks) that appeals to anyone. They also share projects that are easy to do with usual tools, so it’s rather easy to follow their instructions. So, they constantly share a specific type of content that’s recognizable and makes users want to engage and share. The human brain is wired to process images and videos 60,000 times faster than text. This means an Instagram user, scrolling through their feed, will only need a split second to decide if your post is worth your time. So, to attract attention, you need to stand out from the crowd by creating original content that is relatable to your target audience. Sadly, there is no shortcut or trick that will get you there faster; you just need to keep trying until you get the response you want. For this, you can draw inspiration from big brands in the niche, follow influencers you like, and even implement content strategies you’ve seen working before. We also recommend doing hashtags research, which is very similar to the keywords research you do for SEO. This is a step that requires time and effort, but once you find your voice, it’s a lot easier to stay consistent, which is another important ingredient of the Instagram success recipe. Quick tip: Animated images (or GIFs) are extremely trendy on Instagram nowadays! Never forget that behind Instagram handlers there are real people with thoughts and feelings! Sadly, many marketers only see their following as numbers that reflect their own popularity. However, the moment you forget to connect to your community as a human being is the moment you lose your followers’ attention. So how do you know if your posts truly make an impact? Have a look at your engagement metrics (likes each post gets, comments, shares, and so on) and see if people actually care about your content. Also, comments represent users’ feedback on the things you post, so make sure to take them under consideration. Furthermore, users’ engagement should go beyond the standard ‘nice pic!’ or double-tap. Find ways to strike a conversation with your users and treat them with the respect they deserve – after all, they are your main leads. At the end of the day, having a huge following is not as important as having an engage community supporting your product! Besides connecting with your audience, it’s just as important to connect with other players in the game. Find accounts that share the same view of the world as you do (either as a business or an individual) and try to connect with them. You can do so by sharing their content (if it is relevant to your niche), sending shoutouts, or simply sending them a direct message (dm) where you let them know why you would like to connect. Keep in mind: Networking is not necessarily something you do for your account’s benefit, so don’t start the conversation with “I’ll give you a shoutout if you …”. Simply state why you would want to connect and how their content has inspired you. Such connections show your audience you are open to recognizing new talent and you embrace a community with similar interests, even if it’s not yours. They also give you the chance to expose your followers to a different type of content, which may keep thing interesting on your account. 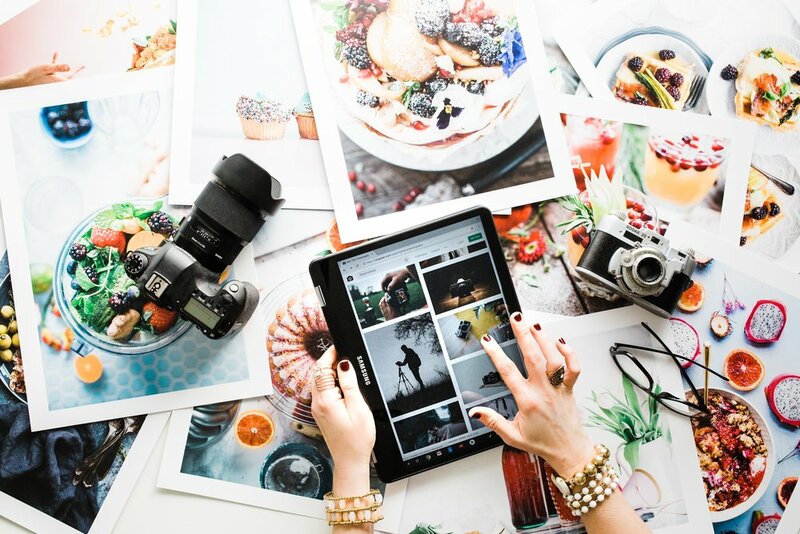 As you can see, the type of content you share and the type of connections you create play an important role in your business’s success on Instagram. But the platform has a lot more to offer, so make sure you keep a curious mind when it comes to challenging your followers. Consistency is an important factor as well because it creates an expectancy from the community. It’s just like creating a habit – people get to crave your content, even though it’s not the most important news of the day. What we’re trying to say is that success on Instagram is more a matter of doing than a matter of waiting for the right moment. Try various approaches, be active and make sure to respect your community, and success will come! In our blog last week we discussed ways you can humanise your brand and better communicate with your customers through your written content. 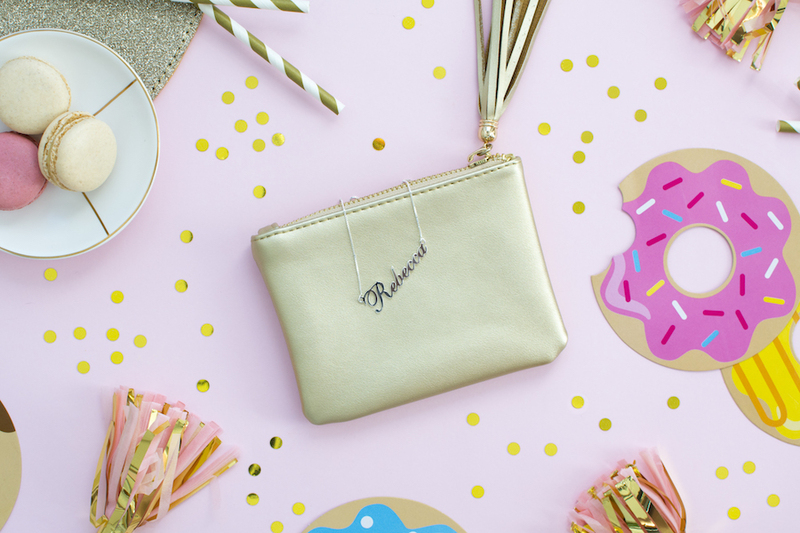 This time around we are sharing our tips for building on your brand’s personality through your visuals. ‘Authentic’ has become a bit of a buzzword of late as brands attempt to become more relevant and accepted by their audiences. Branded imagery needs to be inviting and original because when it comes to interacting with your brand, the modern day consumer expects a more personalised experience and generic stock images just won’t cut it. With your average consumer more likely to trust branded content created by their peers and ad fatigue stifling your marketing efforts, it’s vital to keep your visual content looking as organic and authentic as possible. Thanks to digital marketing and social media, audiences are more accessible than ever but communicating on these platforms is a two-way street. Modern marketing enables your customers to get up close and personal with your brand and they want to get to know the real you. There’s no vision more authentic than seeing your brand through the eyes of your customers. Social media makes it easy for fans of your brand to create and share content and they can often capture their genuine love of your products in a way that would be hard to manufacture on a commercial level. For ideas on how to best represent your brand you should firstly look to your own audience to see how they are documenting their experience as they use and interact with your products. With the right permission you can even share these customer photos on your own channels but make sure you always check with them first. When you want to get that customer-generated feel in your content but want a little bit more control over the creative direction of the image working with a content creator can help bridge that gap. While your actual customers can generate great content, obtaining the rights to use the images and accessing high-quality image files can be a hassle that is negated when working with a content creator. Visual content creators are creative people who can style and photograph branded images in an authentic and relatable manner. Finding the person to create visuals for your brand is not always simple as not all content creators are professional or have large online followings. Just because they aren’t easily discoverable doesn't mean that they aren’t an excellent and affordable solution to creating custom imagery. Platforms like Creatively Squared offer a managed service where you’ll be matched with the perfect creators and can generate an ongoing supply of fresh visuals to help your brand stand out. Your audience wants to see what your brand is about outside of the studio, raw and un-retouched. They want to see it from all angles, in situational use and in context. This concept might be a bit scary for some marketers who are used to executing flashy commercial ad campaigns and putting their best face forward but your average consumer now has an inbuilt resistance to a shiny sales pitch. Different platforms now demand unique styles of content and customers have an appetite for real life moments and candid shots of your products. With social media, bloggers and online reviews constantly creating and circulating content, marketers can no longer control how their brand is perceived so it’s much easier just to embrace reality, snap a candid photo and share your true authentic self #notfilter required! The next step from sharing pictures of your product in use is to share behind the scenes stories from your team or office. Audiences love feeling like they are getting the inside scoop on your latest offerings and to be able to connect with their favourite brands on a more intimate level. If you give them the opportunity to get to know you and your team they will be more inclined to back you and want to share in your success. If you aren’t quite ready to flood your website or socials with unedited images of your team at work you can always share them in your social media stories for a more temporary snippet of how you bring their favourite products to life. Representing your brand through a likeable and relatable individual can help bring a natural warmth and authenticity to your business. Akin to an influencer, a brand ambassador is someone whose values and aesthetic aligns with your own and has an audience you’d like to reach. While working with influencers can become quite transactional, an ambassador offers you a unique opportunity to have an ongoing and close relationship with someone who will help create content and promote your brand. As well as having them embody your brand on their own channels you can also invite them to guest post on your accounts to bring some fresh personality and content to your social feeds or blog. Remember you can’t strategise or manufacture authenticity, you need to create it through being open, genuine and adding true value to your audience. Being authentic is about letting your personality shine and being candid and relatable. Gone are the days when slick sales pitches and savvy one-liners could charm people into buying products. Today’s consumers are searching for something deeper — brands that provide value and create experiences. This is because today's young consumers are motivated by experiences rather than material goods. They prefer to share, rather than own and see ownership as an optional luxury rather than the end goal. In fact, as many as 78% of millennials prefer experience to property, according to Harris Corp. This is the driving force behind the sharing economy and the growing demand for marketing content that seeks to entertain or inform rather than merely sell. That demand has found its home on social media, where communication has to be a two-way street in order to leave an impact. Any business or personality with a message to get across has to earn their audience’s attention—simply broadcasting isn't enough. This has led to the birth of inbound marketing as a strategy: getting potential customers to connect with your brand through helpful information, a powerful narrative, or entertainment value. The advantages of social media can be summarised into two main drivers: scope and pricing. Social media is powerful because it offers brands access to billions of users (over 2.8 billion). That number can be refined and filtered to leave businesses with tens, to thousands, to hundreds of thousands of users that fit their target demographic. This enables businesses to market to an audience based on their location, interests, educational attainment, and age. Moreover, all of this is available at staggeringly cost-efficient rates. For every thousand audience members reached, social media marketers spend $2.50. That’s half the equivalent cost for marketing on a billboard, and a quarter of the price of similar reach through radio. Newspapers and television price at $16 per thousand impressions, television at $28, and direct mail at $57. There's a third reason why social media is a force to be reckoned with, and it owes itself to an idea we’ve touched on before: two-way communication. On social media, interactions take place on a personal level. This dynamic provides the opportunity for brands to solicit feedback and encourage dialogue, and gives customers the means to voice their concerns. Over time, this creates trust and paves the way for healthy relationships between brands and their customers. We’re goint to take you through different ways to build rapport and, eventually, establish loyalty between you and your customers. These are long-term strategies for sustainable results. As we mentioned earlier, today’s consumers are far more concerned about value and experiences than previous generations. What then can a brand offer in order to captivate its customers? The answer is: purpose, not products—and that begins at Why. These messages strike a chord because they have nothing to do with pushing a product. Rather, they allude to something that people want to be a part of – something with purpose. 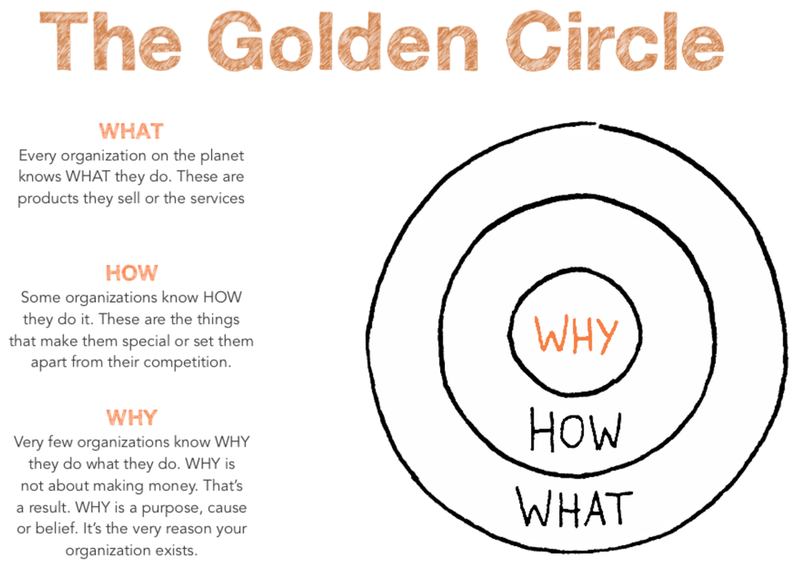 Marketing consultant, author and motivational speaker, Simon Sinek outlines, this in an illustration he calls The Golden Circle. Essentially, what this tells us is before we think of what we do and how we do it, we must first consider why. Sit down with your team and figure out a clearly-defined purpose. 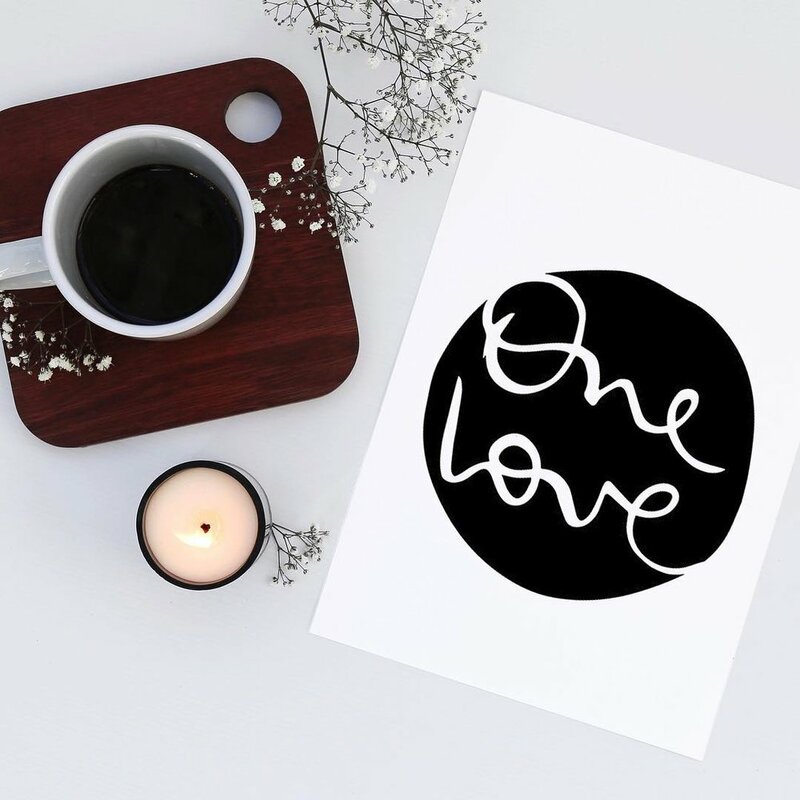 It doesn’t have to take the shape of a cheesy motto or a fancy mission statement; all it needs to be is sincere, genuine, and clear. And make sure it’s something you—and your team—truly believe in. If you’re not authentic, customers will see you coming from a mile away. They might even roast you for it. In this world of spammy emails and ice-cold cold calls, listening is a scarce commodity—which is why demand for it is so high. Show your audience that they matter by listening to their reactions and asking them for input. These can be in the form of a Instagram Story questions, a Facebook comments section, or even a personal message. You’ll be surprised to see how these seemingly insignificant gestures can lead to long-term customer loyalty. Social media is particularly effective for soliciting feedback because people actually want to be heard. Just go through your Twitter, Facebook, or Instagram feed and see what people are already telling you—maybe your service isn’t up to par or your new app has a lot of kinks, or maybe you’ve done something awesome and a customer just left a sweet thank you note. Whichever the case, you might see things you didn’t know were there in the first place. Take a cue from any of these examples and watch your customer engagement skyrocket. Take listening to the next level and design your content based on what your customers are telling you: Do they have common questions and concerns? Is there growing interest around a particular topic? Any news they might want to know out about? The brilliance of social media is its ability to show things happening in real-time and in an organised manner. That way, you can easily catch onto what’s going on with your target market. Rather than labour over which topics to post or content to share, test various types of written and visual content and let the people decide what they want. Besides, they would know better, right? Like it or not, customers will post about you on social media. Treat them miserably and they will let you know; treat them well, same deal. Just how valuable is a good customer experience? This Twitter poll showed that customers were willing to pay significantly more to companies with good social media service—cha-ching! What is more, prompt and witty responses can make you go viral for all the right reasons. Again, listen to what your customers are saying and respond as quickly as you can—the faster, the better. Building customer loyalty on social media isn’t nearly as complicated as people make it out to be. All brands really need to do is provide great value and memorable experiences, as opposed to merely selling. Remember the core value of social media is in engagement with people, not marketing to them. In the end, it all boils down to two very simple things: listening and responding. For the past few years marketers and businesses have been flocking to social media, the land of free advertising, boundless organic reach and customer engagement - or so they think! Is social media the Holy Grail of online marketing? Well, that all depends on how you use it. Unfortunately there are many common pitfalls and mistakes that brands make on social media, most of which are easily avoidable. A common mistake many brands commit is paying to promote content rather than allocating their budget to create quality original content that will naturally increase organic and paid reach. Of course there is no limit to how much you can spend to get social media algorithms to shove posts down people’s throats but is that going to translate to positive brand associations and conversions? Marketing evangelist Gary Vaynerchuk said it best: “No amount of paid media is going to turn bad media into good creative’.’’ The inbound leads you get from quality, organic social media reach is worth far more than those coming from an ad spend. Creativity knows no limits and brands should be investing in the type of content which adds value to their customers lives and engages people effortlessly. Paid media spends can’t compete with high quality content; the kind that people willingly want to share and circulate without you having to work at it. While there is a dedicated space for advertising on most social media networks, your regular posting schedule and communications with your followers shouldn’t be confused with this. People use social media channels to be social and to interact with you and your brand, not to be marketed to! Social media interactions should be a two-way street and you should be channelling your energy into connecting with your customer and building rapport. Your social channels are the perfect place to initiate a dialogue with them, figure out their pain points and find out how you can add value by reading comments, asking questions, and replying to queries. Every little bit of communication helps you get to know your audience a little better and once you know who you are catering to, you can continuously improve. A push to purchase or directing your audience towards your website or shopping cart is ok once in a while, but don’t make it a daily ritual. Social media is not meant for revenue generation, it’s a by-product of it. Another common mistake is to write for the search engine algorithms. It’s important to spike the algorithms by writing longer posts and taking care of Search Engine Optimisation (SEO). But, don’t forget that you’re writing to capture people’s attention and engage readers. Remember – brands today are battling for ‘attention’ which has essentially become the most expensive and hard-to-earn commodity. People need a reason to stop while scrolling, pause, and click on a post. Give them that reason or you’ll lose out on a lot of potential readers; not to mention customers. Be sure everything you put out on social media, whether it’s a post or an article focuses on engagement. Since most platforms only display as little as top 3 lines, make them good ones. Use a catchy headline, but at the same do not write misleading titles. Ask questions, include a touch of humour or give some fun facts. Make it a worthy read and above all – make sure it’s engaging. Social media is a two-way street. You cannot just shoot an arrow and not wait to see if it hits the target. You have to remain active and monitor the conversation. How are people responding to the posts, articles, and everything you’re putting out? Regardless of whether you’re getting complaints or appreciation, it’s important that you remain responsive. If people are facing any issues or giving you feedback, use it as a platform to offer a solution. Initiate a dialogue because the more active you remain, the more rapport you’ll build with your audience. Make it a point to be consistent with your responses. Have a dedicated team in place whose job is to respond to comments. Even if your business receives complaints and negative reviews, how you handle them can still reflect positively on your brand. Humans are visual creatures and we are naturally drawn to anything that is visually inviting. Use this fact to your advantage and give the stock images a miss. Create original content featuring your brand that commands your customers to pay attention. Do not make the mistake of drafting an excellent piece of content and not support it with an enticing image or video. If industry stats are to be believed, people retained 65% of the information contained in a post that had at least one image and only 10% when it did not. Therefore, make sure to include at least one high quality image in every single post to make it memorable for your audience. If you had a dollar for every time a window shopper left your website before buying anything, you could probably quit your job and head to that baby sloth photography retreat in Costa Rica. Sadly, your online visitors have to buy something, or everything, before you book that flight. Online browsing is common with 70% of online shoppers doing the "cart abandonment" trick—where they fill a cart with items from your store, but leaving before buying anything. Then there's the “browse abandonment” crowd—this accounts for 92% of your website visitors who wander around the site and then leave with no items in the cart and no indication of why they left. So how can you help your customers complete the checkout and not leave your online store’s inventory behind in abandoned carts? Using the following 5 tools can help convert a higher percentage of your wandering website window shoppers into paying customers. OK, we can hear the collective screaming in your heads at the word "popups". But the truth is, they really do work. Marketing tests (where “exit intent popups” appeared in front of visitors before they could abandon ship) increased email address collection by more than 1000% over the course of several months! Entice your window shopper with a generous %-off from their cart if they check out now. Offer a special, one-time free shipping code if they buy today. Give them a coupon code for so many dollars off if they buy now. Note the use of now, today and scarcity. Exit intent popups can inject urgency into your window shopper's visit. People hate feeling like they’re going to miss out (FOMO), so if you tie a special deal to a deadline, they’re more likely to convert. This is a little psychological tactic known as “loss aversion” and it’s very powerful sales conversion tool. If you have your window shoppers’ email addresses, you can now send them thoughtful and engaging browse abandonment emails. If they were interested enough to give you their email addresses, you can bring a significant number of these window shoppers back for the sale. An image of their longest-viewed item triggers response quicker than plain words. Still, bolster that image with the right words and you increase the chances of your window shoppers coming back to purchase. Keep this email layout simple to avoid overwhelming your reader—use simple images with an obvious link back to their item, with an easy way to purchase it. Perhaps suggest complementary items, but again, keep it simple. Don’t give them a laundry list of every product they viewed—it's too creepy. If you know where your website’s spooky spots are, you can fix them to make it easier for your window shoppers to become actual customers. You leave a website to surf Facebook on your phone while you wait for your latte and, voila—there’s this ad from the website you just left. That’s retargeting. And for very little cost per customer, you can use these to bring back up to 70% of your window shoppers. Setting up a retargeting campaign on Facebook isn’t hard. But also consider other social media platforms depending on your target market demographics. The latest data on social media use from the Pew Research Center, in addition to your own market research, can set you off in the right direction. Sales-Boosting Headlines—Boost sales with landing-page headlines mentioning pain points (real annoyances that your product eliminates), or a discount. Live Chat—Real-time chat helps window shoppers convert. It also gives you another method of capturing customer data. Social Proof—Display 5-star ratings, reliable customer raves and other forms of social proof. Color Changes—A red call to action button beats a green one. Colors are subconsciously powerful influencers. If you try these 5 tips, you might find yourself booking that baby sloth photography retreat sooner than you expected! Brett Thoreson is the founder and CEO of CartStack, a premiere cart abandonment & sales recovery solution for ecommerce businesses. He has a strong dedication to the ecommerce industry and a passion for adding value. Through CartStack, he and his team aim to change the way online companies recover revenue. Regram rules: Is it ok for brands to share other people’s content on Instagram? There is an art to curating the perfect looking Instagram feed and it is not unusual for brands and marketers to supplement their own content library with a variety of complementary images from external sources. On Instagram, the act of sharing someone else’s image is colloquially referred to as a ‘regram’ and on the surface this seems to be a harmless and widely accepted practice. However, while this is tolerated and some users are ok with their content being shared by brands and corporations, many are not. When it comes to sharing content that isn’t your own, all businesses need to know what is acceptable and how to do it in a safe, legal and respectful way. Did you ever wonder why there was no ‘share’ button on Instagram? The platform wasn’t designed for regrams and in a previous statement the platform outlined that it was actually a violation of their terms and service to post anything that wasn’t your own original content. Since then they have relaxed their terms and now hold you personally responsible for your use of the platform and obtaining the correct rights or permissions for any content you post. The basic terms of service are quick and easy to read over and if you don’t comply with these you can risk the safety of your account or possible legal action. When is it is ok to publish someone else’s photo? You can regram anything you like on Instagram under one condition - you have permission from the original content creator or image owner. Simply crediting the original source is not sufficient and you must get prior consent from both the creator and anyone depicted within the photos before you share them on your account. While some people might be honoured that their favourite brand wants to share their photo, others may have only intended it for their own personal audience. If you find an image you want to share you’ll need to find the person who created or owns the rights to it. Tracing the original source is vital and just because another account has shared the image doesn’t mean that they were the creator of that photograph. The easiest way to get consent to use a photo is to ask the poster via leaving comment or sending them a direct message. To ensure they know exactly which image image you’re asking to use, you’ll need to include the image in your message. Once the content creator has responded to your direct message and given you permission to share their image, you’re free to regram it to your account. Unfortunately not all accounts will see all their comment notifications and if they aren’t following your account they may not see your request at first. If you do not get a response you may wish to also try contacting them via email if they have it listed on their account. When you do obtain permission to use someone else’s content it is important that you acknowledge the original source correctly. This means giving the photographer full credit within your caption and also tagging them in the image. People who tag your account or use your branded hashtag may be implying that they give permission for your brand to repurpose their content, but this does not constitute consent. Even if it depicts your products or brand, this image is still copyrighted by the owner or creator of that photograph. When it comes to regramming content of any type it is best to play it safe and always ask for permission to ensure you avoid any legal issues down the track, especially if you are using the content for commercial purposes. If you don’t have the resources to monitor and obtain permission to use your customers content there are lots of companies that help source and manage the rights to use UGC for you such as Pixlee, and CrowdRiff who have found that 65% of people provide permission to their photos within 24 hours. When working with influencers, bloggers or brand ambassadors to create branded content you will need to clearly articulate your licensing and copyright terms in your original contract. Although it is implied through hiring or collaborating with them that you will be repurposing the content on your own account you will need to have this specified in a copyright waiver. This can also include terms that allow you to reuse the content on your website and marketing materials to avoid any further licensing fees or negotiations down the track. Having your Instagram account disabled: Users can report your account for sharing their content without permission and Instagram can shut your account down if you are reported as a frequent violator of other people’s intellectual property rights. Infringing on Copyright Law: Depending on what country you are in you may also infringe on copyright law which differs according where the images are reproduced or shared. There are some ‘fair use/dealing’ situations which allow businesses to use other people’s images under certain circumstances such as criticism, commentary, news reporting, teaching, education, and research. This is outlined in the Copyright section of Instagram’s Help Centre so if you need more information about what constitutes a copyright infringement it is worth the read. It is vital to take the necessary steps to understand and comply with the best practices both legally and morally. For the most effective marketing communications brands should always share original content and create images specifically for your audience. Regramming content can be a convenient way to share your brand personality but just because something is published online doesn’t mean it is there to be used freely. Always trace the original source of a photo you wish to share and obtain the correct permissions to use it. Content creators spend a lot of time honing their craft and brands who take advantage of this by repurposing images for their own marketing run the serious risk of having their account shut down or copyright infringement. When looking for somewhere to dine on a Saturday night which restaurant are you more likely to pick: The one that’s empty and has no one inside it but the wait staff? Or the one that is lively and bursting at the seams with a crowd outside waiting to be seated? Most people would be instantly attracted to the busy restaurant because it had ‘social proof’. This means it is demonstrating that it’s worth your hard earned money and time otherwise why else would it be flooded with customers. That’s how the human psychology works and this exact phenomenon is what marketing experts employ to increase confidence in anxious customers to convince them to try out a product or service. Online review and testimonials are the easiest types of social proof to share the merits of your brand with the outside world. Most online shoppers will search out and read reviews of your products or service prior to purchase and the more customer feedback you have will help them to validate their purchase. Almost all eCommerce stores use online reviews as social proof on their product listings. In addition to this you can use your expert and best customer reviews to your advantage by displaying them on the front of your website for potential and present customers to see. As well as utilising your existing customer base, there are many experts and bloggers that you can invite to review your product. For the best results look for people that are respected and work in your niche or specific product category. It never hurts to reach out to someone with a great profile, many of these people review products like yours for a living and actively look for new brands to share to their audiences. Let’s take the restaurant example once again. Because you see people flocking towards a particular venue, you believe it’s a quality one. So, in this case, the more customers you see the more it strengthens your trust in the brand. Telling the world how many customers you’re currently serving is a great way to grow your existing clientele. Sharing the numbers of customers, active users and subscribers you have can all help build social proof and make you look more legitimate to potential customers. Many brands providing services demonstrate social proof by sharing their clients logos on their website. The reasoning behind this is that bigger the brands you are working with the more professional and successful you’ll appear. The power of mentions and name drops can be a very effective way to build authority and validate your product or service. 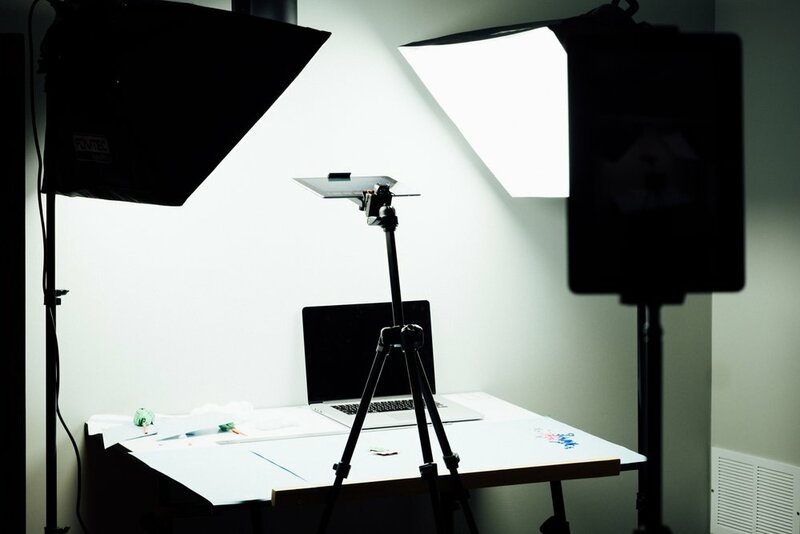 If your product has been featured by a popular magazine, a TV segment, or an interview, it will help you build credibility and introduce you to a wider audience. Media mentions may even come from the most surprising places like the time that the Queen of England name dropped ‘Game of Thrones’ in her Christmas Day address. Even if your customers don’t see or hear it make sure they can discover it by sharing the excerpt on your website or to your email subscribers. It’s no secret that people look up to celebrities and public figures and take note of the things they wear and the items they use. If you are a fan of a particular famous person you’d be naturally inclined to try out a product line or a service that they endorse. If your budget allows you to pursue a celebrity endorsement, the right partnership can be incredibly lucrative. Some brands send out samples to celebrities in the hope that they will endorse them and instantly build rapport with your brand to a large audience. Of course some celebrities may be genuine customers of your brand and not need any prompting to share your products with their fans. On a lesser scale many brands are using influencer marketing to the same effect. People with large followings on social media can be employed to help promote your brand to their online communities. Although with so many celebrities and influencers capitalising on paid promotion the effectiveness of these collaborations can be questionable. Ever noticed how schools and colleges are recognised by certain Universities? If an establishment is nationally recognized by the government or a regulatory body, it establishes a sense of trust among the community. Brands can use this to the same effect by applying for awards and publishing their certifications, badges, and recognition. There are lots of awards you can apply for as a business and winning them can give you a huge advantage over your competitors. The more certifications you have the more credible you’ll appear so make sure you mention your associations and awards by sharing their logos on your website. People’s knowledge of brands and products today can frequently come from within their personal social media networks. Customers will use your social media accounts to verify and connect with your brand so the more you can cultivate an engaged following online the stronger your brand will appear. Having an active and welcoming social presence is key to building social proof as many customers will refer to your social accounts to see the type of content you share prior to purchase. When it comes to selling products online, trust is the most delicate commodity and the hardest one to earn. It is important to do everything in your power to increase confidence in your customer and reduce their path to purchase. Building social proof is not something you can rush as it involves demonstrating the integrity of your brand across multiple touch points, however there are some great tools to help implement the results like Proof. There is no one tactic you can use that will convince your customer to hit that checkout button but using a combination these suggestions will certainly help. Instagram shopping has launched, is your business ready? Instagram Shopping launched last week in Australia, Brazil, Canada, France, Germany, Italy, Spain and the United Kingdom. The feature was trialled in the US in November 2016 and was made widely available last year, allowing businesses to tag images with product and pricing details, completely changing the social shopping experience and creating a huge opportunity for the 25 million Business profiles currently on Instagram. Instagram Shopping allows business profiles to tag their products in posts, allowing consumers to explore and shop your best products with a single tap. With shopping on Instagram, you can choose photos you'd like to feature, tag up to five products per image or up to twenty products per carousel, add filters or captions and you're done. A link that takes them directly to your website where they can purchase the product. The feature has already been incorporated by Shopify and Big Commerce, allowing consumers to add to cart and complete checkout without leaving Instagram creating a seamless shopping experience. Natori: Increased Instagram traffic by 1,416%. Magnolia Boutique: 20% increase in Instagram revenue. SpearmintLOVE: Instagram traffic grew by 13%. Native Union: Instagram traffic was a 2,666% increase. The feature is currently only available in organic posts and can’t be promoted, however this is highly likely to become available in the future. Ecommerce has completely changed the way we shop, in-fact we’re never not shopping and companies that don’t consider all of their channels and how they interact with each other are being left behind. Make your customers decision making process a breeze by showing them your product from all angles. Party Kit supplies styled and photographed by Creatively Squared. Social or Discoverable Shopping such as Instagram Shopping, Buyable Pins on Pinterest and Amazon Spark threatens to completely change the shopping experience and it’s not only when marketing to millennials. 96% of Americans have made an online purchase with 80% purchasing online in the past month. Australians spent more than $10 billion online in 2017 with a 52% increase in mobile shopping purchases. Technology has shortened the customer decision journey - awareness, consideration, intent, purchase and loyalty, to be potentially completed in a matter of seconds from the comfort of our own homes. Companies that compress and accelerate this process will derive a significant advantage over competitors. While this marketing framework has traditionally been viewed as a funnel, today’s buying process is no longer linear with omni channel marketing. Providing a seamless experience for consumers across any channel that they choose is now a necessity rather than an optional strategy. Bringing the shopping experience to where your consumers are is the logical next step in strengthening this advantage. Instagram Shopping allows awareness, consideration and purchase to happen within a single platform in a matter of a few clicks and most importantly, it puts the process in front of where your customers are spending most of their time. With the ease of transaction, I’m willing to bet there will be more than a few impulse purchases made on Instagram after a few drinks have been consumed. 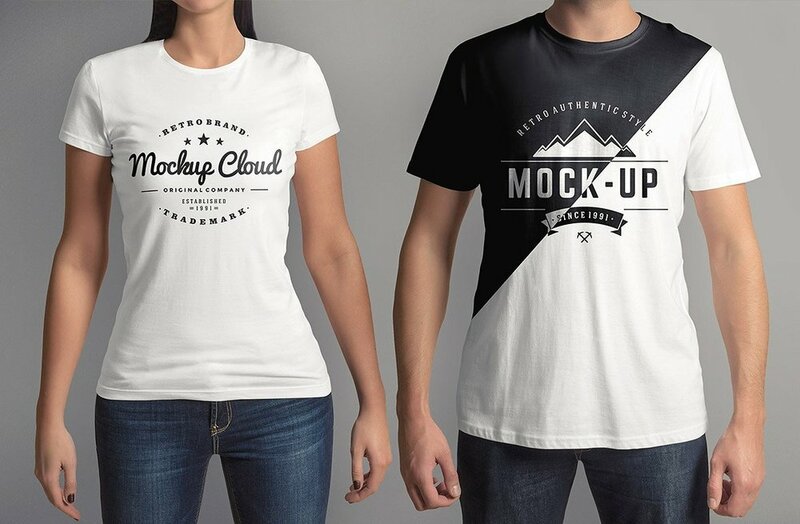 Serve your customers a visual feast with images that will capture their attention! Party Kit supplies styled and photographed by Creatively Squared. How can your business take advantage of this new feature? To capitalise on this new Instagram feature, growing your organic following is more important than ever and to do so you need to focus on the 3 key aspects of a successful Instagram strategy - consistency, content and engagement. Before moving to any tactics to help acquire followers such as paid advertising, giveaways or influencer campaigns, ensure your own profile is up to scratch so you retain as many people as possible within your own community. Every 2-3 days as a minimum. Have a strategy so people know what to expect from your brand. Use a mix of in context product shots, behind the scenes content, videos, stories live video to keep things fresh. While it may be tempting to show traditional catalogue style images of products, these won’t resonate with consumers. Instagram Shopping is an enormous marketing opportunity for businesses to highlight their products in front of customers in an authentic manner. With Instagram lacking the ability to use links in posts, its eCommerce potential has been difficult to measure and largely untapped, until now. There are lots of mobile applications and third-party tool to help you manage your Instagram account - around 800 of them! These complementary apps mean that using a mobile phone for managing your Instagram account is convenient but it is not always the most efficient way of doing things. Luckily there are other options available for those of us who need to use these services at work or from our desktop computer. Ever wished there was an easy way to monitor your account and respond to all your Instagram comments right from your desktop? Well Websta is a website that enables you to do precisely that. It also has a handy feature that allows you to create custom feeds meaning that your browsing experience is no longer at the mercy of the Instagram algorithm. Websta also provides some handy analytics, such as telling you the best time to post and helping you identify your most popular posts. There are lots of great photo editing apps for mobile but for those who don’t want to invest in expensive software for their desktop, Pixlr is a great alternative. This web based photo editor has just the right amount of features that makes it easy to use but still has some powerful functions. Those familiar with Photoshop will appreciate the familiar layout and find it easy and intuitive to use. Ever wish you could blitz through liking all of the posts to your branded hashtag without having to solicit dodgy third party apps or robots? Everliker is a chrome extension that operates through whatever Instagram account you are currently logged in as on your desktop. It never asks for any login details and only uses your computer and local IP address to perform the liking function. 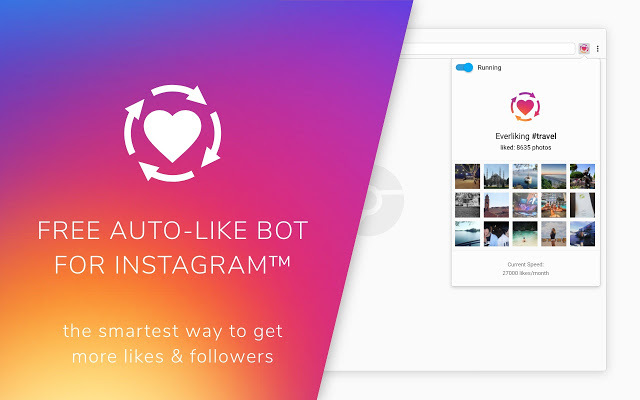 Because it is coming from you directly, this activity doesn’t compromise the safety or your account or suggest to Instagram that you are employing automated or external practises. Flume is a simple desktop app that enables you to easily use and engage with Instagram from your Mac. The free version allows you to use Instagram as you would from their own web app but with the added bonus of being able to send and reply to direct messages. There is currently no simple way to upload content to your Instagram account from your desktop, unless you use a third-party scheduling app or activate the mobile version of Instagram from your computer. For a one time $10 upgrade Flume will allow you to post content directly to Instagram and activate the software on several computers with multiple accounts. There are a lot of scheduling and posting tools out there and for desktop users Later is one of the best. Although this service has many more benefits than just the ability to plan your instagram posts in advance such as comment moderation and saved hashtag collections. Ever wondered how some people can get actual paragraph spacing in their Instagram captions? Somehow the wizards at Later can make this happen for you. Other bonuses of this software their own Linkin.bio feature which a landing page that looks like your Instagram page and displays your content as clickable images. This makes it simple to create a clickable and shoppable Instagram feed that links your audience to your products. With Instagram limiting accounts to only use one link in their bio and not enabling users to share clickable links it is vital to use your link wisely. Linktree creates a handy dashboard for you to save multiple links with appropriate headlines that is easy for your audience to navigate. This is a great tool for analysing your followers and identifying influential and highly engaged members of your audience. Social Rank will tell you who your most valuable followers are and can filter them by location, bio keywords and online activity. You can sort, create lists and export them for future reference. The premium version of this software also allows you to directly message users that you are interested in communicating or partnering with at scale. Once you have identified influential members of your online communities you may wish to pursue a partnership with them or invite them to promote your brand online. Before you do this you might want to assess the integrity of their audience. Using a tool like Social Blade will allow you to see if they have any unusual activity on their account such as mass followings which could indicate bought or low-quality followers. Our 'Two' Themed challenge winner will win the biggest prize haul of the week. Enter as many times as you like! We have a special prize this week for first time entrants. Don't forget to tag #cs_newbie onto your challenge image! We have 5 bonus prizes to give away during the week. These will be awarded for creative and community merits. To find out how you can participate in our 2nd birthday celebration and win these amazing prize packs please visit our Creative Challenge page for the full entry details. Instagram’s new auto posting update - is this a scheduling feature we actually want? Any seasoned Instagram user can relate to the struggle of missing that prime posting window or forgetting to hit upload because real life gets in the way. Imagine not having to sneakily duck off to the loo at work or your family event to hit publish on your next post. You could be there for your ‘gram fam and your fam bam at the exact same time! Although scheduling is quite commonplace on most social media networks, Instagram has not previously permitted any apps or social media management systems to auto post images on your behalf. While there are some services like Schedugram, Hopper and Onlypult than can do this for you, whether you should is an entirely different matter. The Instagram interface did not allow access to third-party apps to post on your behalf and it was warned that automating your account like this could get you banned, blocked or penalized. To get around these limitations, most scheduling apps, like Plann, that exist today use a ‘safe’ notification system which simply alerts you when it’s time to publish your planned posts. A month into 2018 we finally got the announcement we had been waiting for - Instagram was finally rolling out a scheduling feature. Finally we could plan our posts in advance and have them post for us at the exact right time. Those of us that live and breathe Instagram might have even done a little happy dance, that was - until we read the details and discovered all of the limitations. This new feature is only available to those who have registered Instagram for Business accounts. It is easy to switch your account over from a personal one but in order to do this you must also have a business Facebook page. The other thing to note is that your account must be set to public to be switched over to a Business account so if you value your privacy this feature is not for you. This feature is not something that you can access or schedule within the Instagram app and can only be accessed through Instagram’s business partners and approved third party apps. This means you will be subject to each individual provider’s conditions and associated costs. Unless you are a business with a marketing budget behind you, accessing this feature right now could be an expensive exercise for the average user. As more third-party programs jump on board there are likely to be more options for stretching your budget but the average price per year is around $20 per month. HootSuite: $228 per year paid in advance. Sprout Social: $99 per month per user. Note- This list is growing at a rapid rate so keep checking with your favourite social scheduling or management tools to see if they have added this feature. If you want to give any of them a try for yourself a lot of the above apps offer free trials. You know all those new features you love like sharing video and image carousels? Well you can count them out, the auto posting update only works for basic single image posts with no additional filters or tags. Along with not being able to include any tags on your image, it also seems that any hashtags included on your post are made redundant resulting in a decreased reach. Many users that have tested this feature claim that the images are only served to their immediate audience making it hard for new accounts to discover their posts. If a hashtag strategy is a key part of your personal or promotional reach then this alone may be a complete deal breaker. Depending on your budget and your current use of the platform, the above limitations may have no impact on your instagram strategy. For some of us (myself included) this update has more negative than positive attributes. Being able to schedule your images in advance suddenly sounds far less appealing when you take into consideration the impact of limited visibility. The motivations behind this update are clear, making life easier for marketers means bigger ad spends and money lining Facebook's pockets. Will this update encourage better practices online and help us create more captivating content and better connect with people? Probably not. Like a lot of the new features being rolled out, it’s all leading Instagram to be a little less instant. The photo sharing platform featuring inspirational accounts and authentic content we originally fell in love with seems to be slipping further and further away. Facebook claim to have realised that we don’t want to spend all our time on social media being marketed to and has changed tactics to prioritise content that is personally relevant to us. On the other hand, Instagram seems to be rolling out all the bells and whistles to distract us from the fact that it is no longer the platform we once signed up for.